Did you get your daily dose of vitamin D today? Known as the (sunshine vitamin), vitamin D is produced by the body in response to sunlight. It naturally in a few foods -- including fish, fish liver oils, and egg yolks and in fortified dairy and grain products. Vitamin D is essential for strong bones because it helps the body use calcium from the diet. Vitamin D deficiency has been associated with rickets, a disease in which the bone tissue doesn't properly mineralize, leading to soft bones and skeletal deformities. But recently research is revealing the importance of vitamin D in protecting against many health problems. The sunshine vitamin may protect against a host of diseases, including osteoporosis, heart disease, type1 and type ll diabetes, hypertension, glucose intolerance, multiple sclerosis, and cancers of the breast, prostate, and colon. Sunlight also has other hidden benefits, like protecting against depression, insomnia, and an overactive immune system. Treatment for vitamin D deficiency involves getting more vitamin D, through diet, supplements, and through spending more time in the sun. To get your vitamin D from the sun, try spending 15-30 minutes in the sun every day with no sunscreen so you can build up immunity to the sun without causing skin damage. 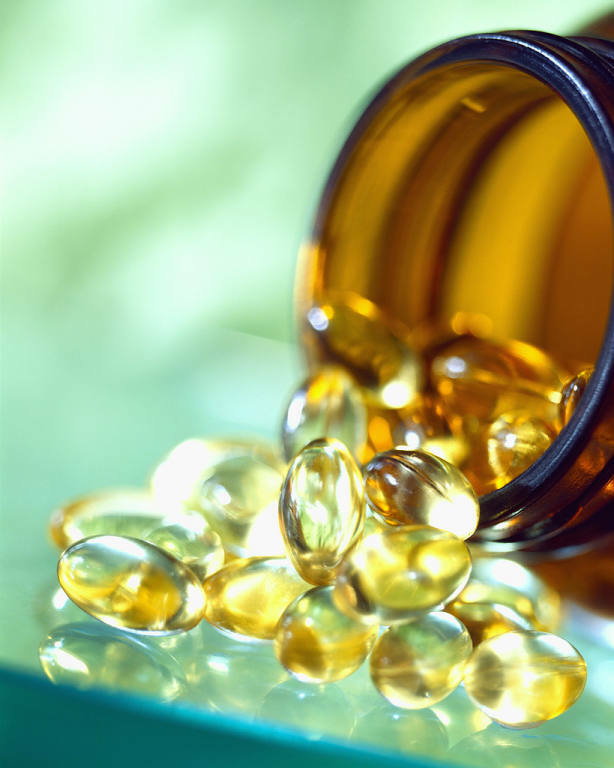 Vitamin D is found in oily fish like tuna and salmon as well as in fortified foods like milk and breakfast cereals. You can also take vitamin D supplements.